It was a packed house at New York City’s Town Hall Sunday night. 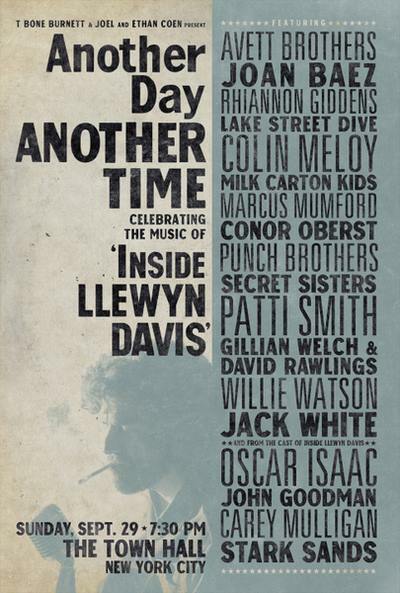 In honor of the upcoming release of the Coen Brothers’ latest film, musicians and actors gathered together to celebrate folk music at Another Day, Another Time, a concert to benefit the National Recording Preservation Foundation. Coming to theaters on December 20, 2013, the film, “Inside Llewyn Davis,” follows fictional character, Llewyn Davis, a struggling folk musician in New York City in the 1960s and is loosely based on the life of Dave Van Ronk. 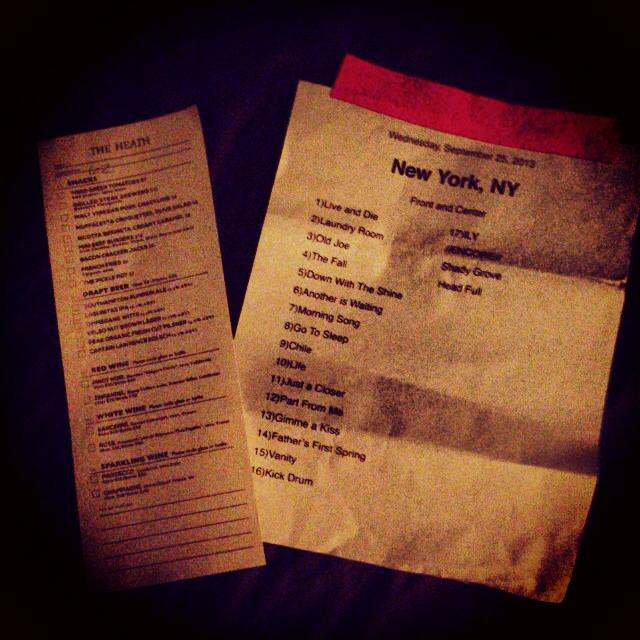 The concert was filmed for an upcoming Showtime documentary to be released on December 13th. Just around the corner from Times Square is New York City’s historic Town Hall. At Another Day, Another Time, every seat of the 1,495-seat venue sold out in seconds. Lovers of folk music filled the old theater that first opened its doors in 1921. Light from a hanging chandelier lit a sea of red chairs and the stage sat lined with oriental rugs, microphones, and a drum kit. Stars of the movie, John Goodman and Carrie Mulligan, hosted the concert. 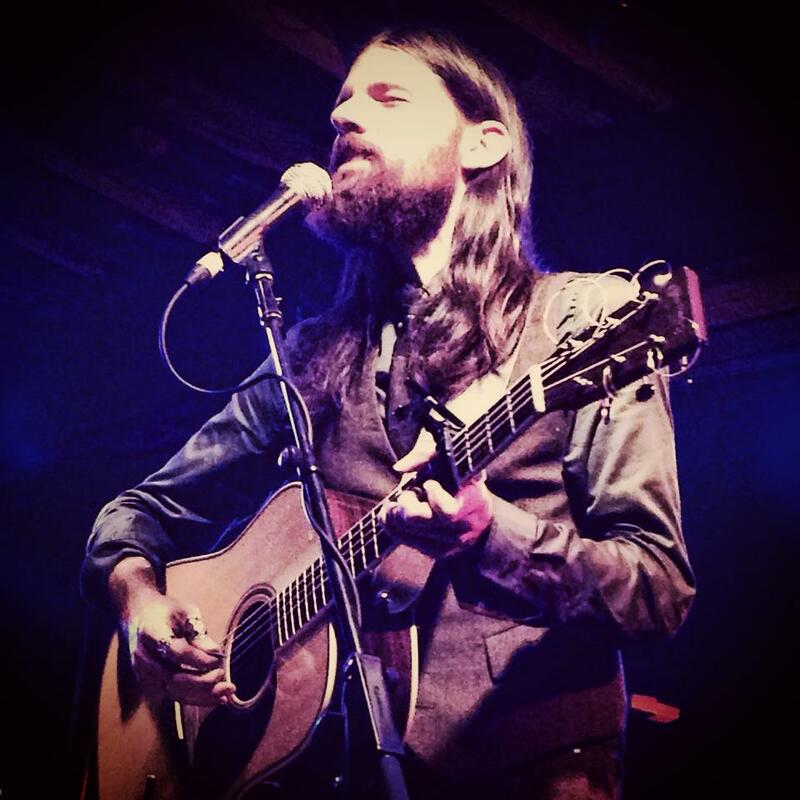 Serving as musical director, T. Bone Burnett called upon artists such as Jack White, Patti Smith, The Avett Brothers, Marcus Mumford, Gillian Welch and David Rawlings, Conor Oberst, Collin Meloy, Punch Brothers, and the folk revivalist herself, Joan Baez, to create such a momentous event. Joined by my friends in the last row of the balcony of the small theater, I looked down at the stage in anticipation of what would happen in the next few hours. 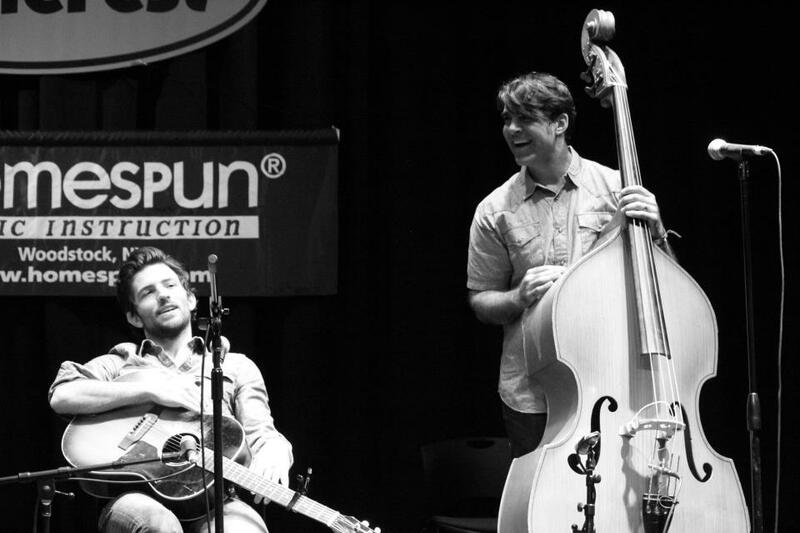 Kicking off the show was Brooklyn-based band, Punch Brothers. Led by Chris Thile on mandolin, they started off the night with a cover of “Tumbling Tumbleweeds” by Sons of the Pioneers and then switched over to a song of their own, “Rye Whiskey.” This would not be the last time we saw Punch Brothers on stage, they joined several acts throughout the night. Mumford joked, calling them the “house band” for the evening. The crowd swayed and sang along with Willie Watson, Gillian Welch and David Rawlings, to “This Land is Your Land” and there would be a number of collaborations throughout the night. My excitement grew with each announcement. Decked out in a tan blazer, blue jeans, and a cowboy hat, John Goodman stood at the podium cracking jokes and introducing acts. Next on stage would come three new and upcoming groups, The Secret Sisters, Lake Street Dive, and The Milk Carton Kids. Although these groups are lesser-known acts, they captivated the audience just the same. The Milk Carton Kids’ Kenneth Pattengale teased that they were not famous enough to have someone else adjust the height of their microphones. Goodman returned to the podium and informed the audience that due to a scheduling conflict, his costar in the film, Justin Timberlake, could not make the show, however his understudy would be filling in. Much to everyone’s surprise, Elvis Costello walked out on stage and performed “Please Mr. Kennedy,” Timberlake’s song off the film’s soundtrack. He was joined by actors Adam Driver and Oscar Isaac, also in the film. 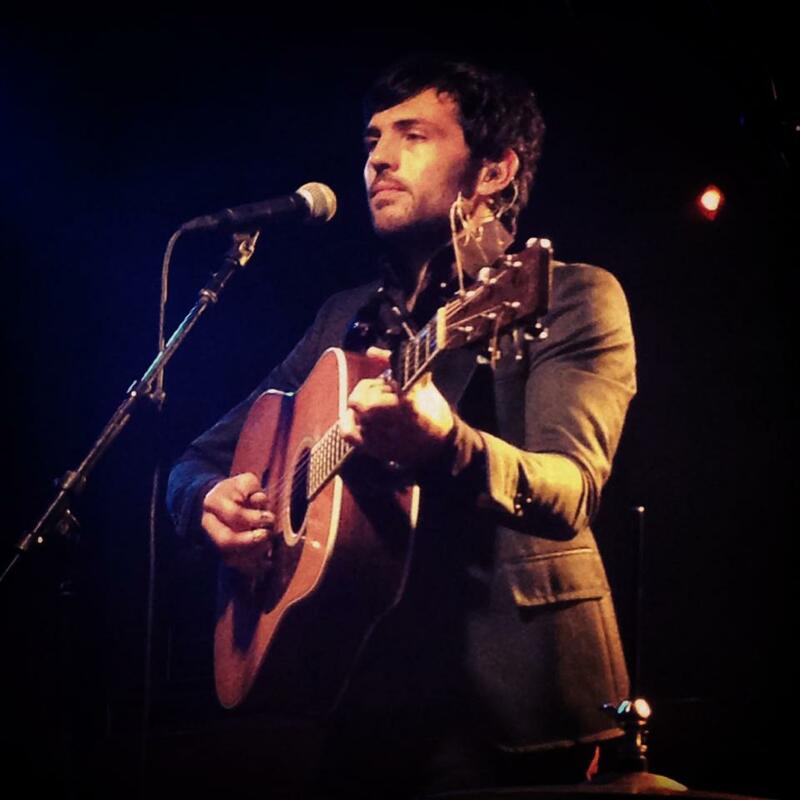 Isaac, plays the lead roll of Llewyn Davis and took the stage to sing his songs from the film as well, wowing the crowd with his raw talent and skillful guitar playing. Keb’ Mo’ and The Avett Brothers would take the stage before breaking for an intermission. For the first time of the night, we saw a band perform three songs. 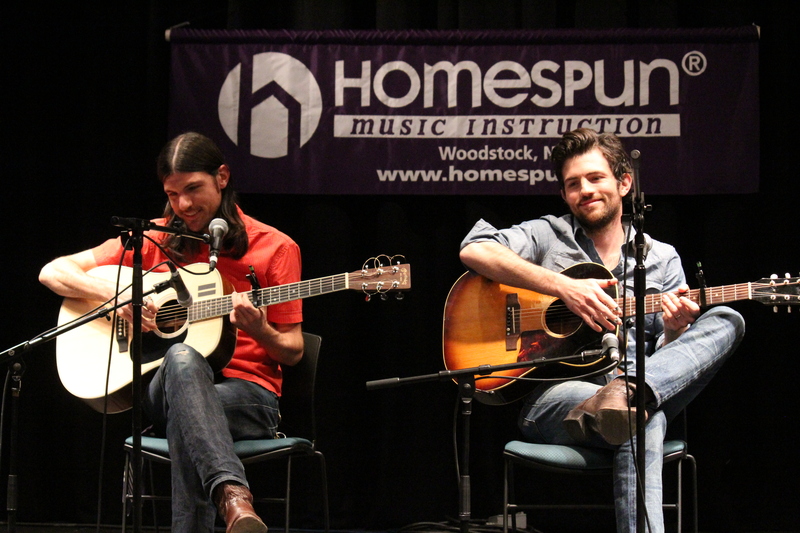 The Avett Brothers–Scott and Seth Avett, Bob Crawford, and Joe Kwon–walked on stage with instruments in tow. 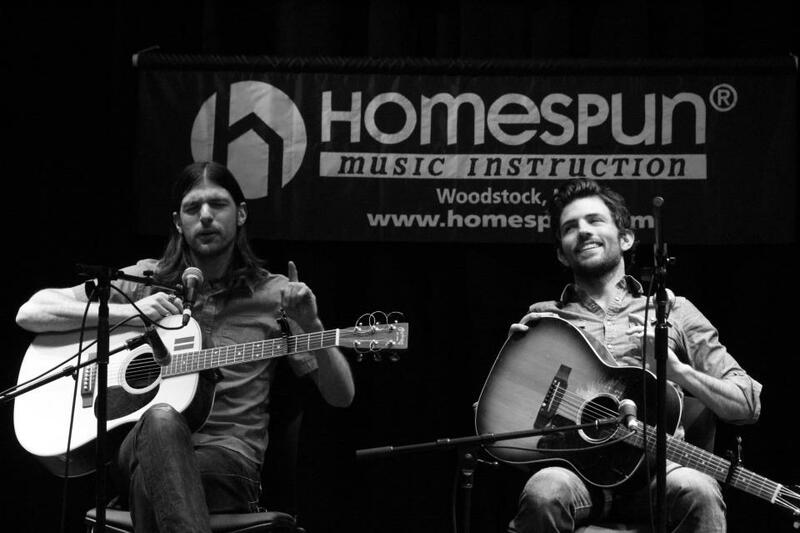 Scott Avett began to strum his banjo and much to my surprise, played the song “All My Mistakes” from their 2007 album Emotionalism–a song that doesn’t often draw laughter from a familiar crowd, but did that night for those who had never seen Scott Avett put “quotations around the word friends.” The Avetts would play “That’s How I Got to Memphis,” a Tom T. Hall cover, and their song “Head Full of Doubt, Road Full of Promise.” Unlike its studio version on the 2009 album I and Love and You, “Head Full of Doubt” was played acoustically. Lyrics that were typically sung loud, turned much more subdued. 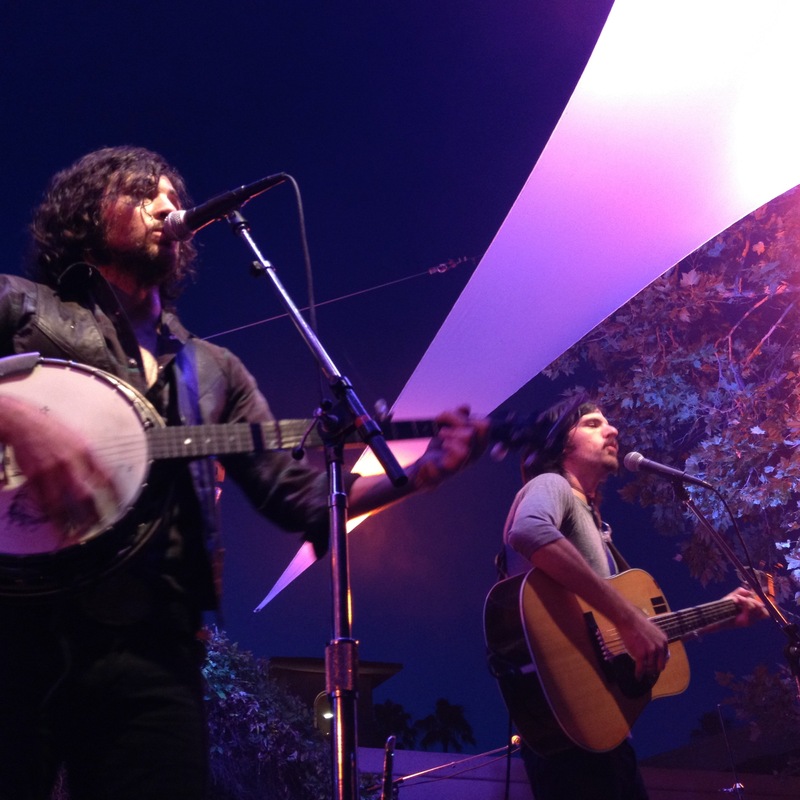 It was seamlessly beautiful and showcased The Avett Brothers’ genuine talent. The crowded remained quiet with an occasional holler from the audience, fueled by excitement. 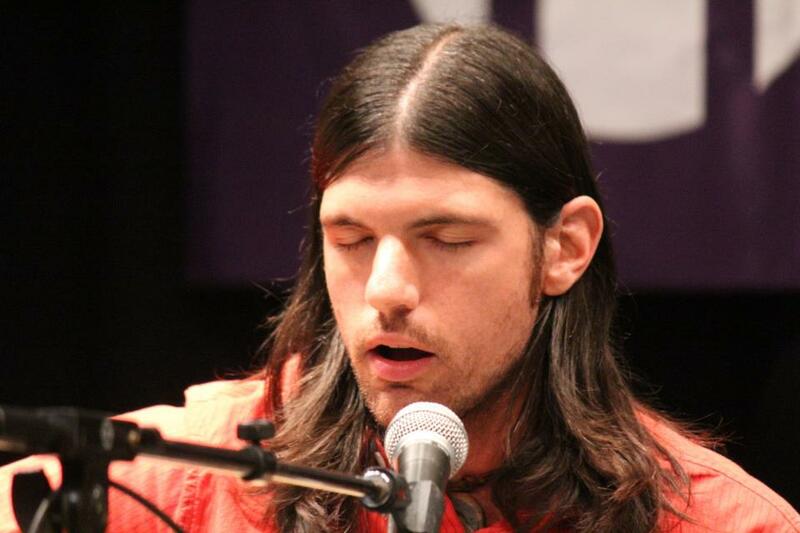 It was clear that many people had attended the concert particularly looking forward to The Avett Brothers’ performance. The lights grew brighter and the audience scattered for a brief intermission. Some celebrities blended into the crowd, equally as excited to witness this once in a lifetime concert. Famous faces such as Paul Rudd, Taran Killam, Glenn Close, Jesse Eisenburg, and John Slattery were spotted. 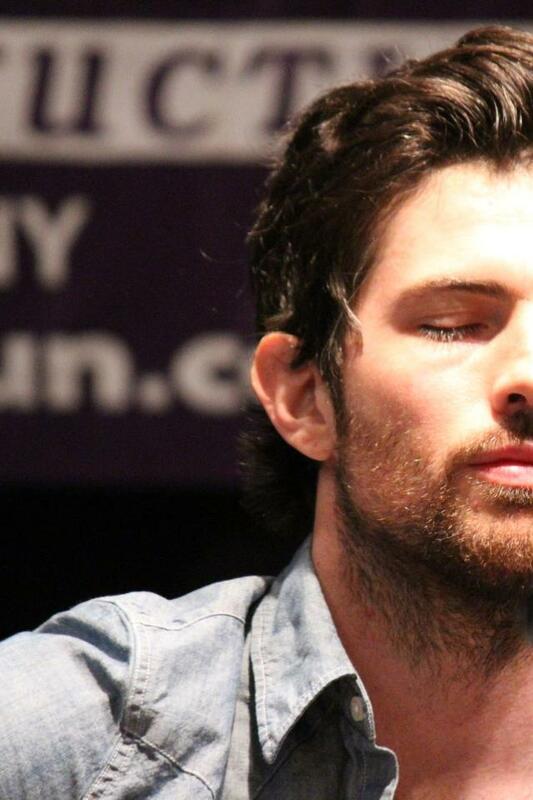 Actor Rudd, has confessed his love for music from bands like The Avett Brothers and Mumford and Sons in interviews. It was very exciting for me to be in the same room with some of Hollywood’s elite. To sit in the same in the same room as Susan Sarandon and Frances McDormand was quite surreal. Next on stage was, the one and only, Jack White. Dressed in his signature black suit and blue tie, he performed two old folk songs and topped his set off with a White Stripes classic, “We Are Going to Be Friends.” Following White’s remarkable performance was the stand out performer of the night, Rhiannon Giddens. Giddens stood in a long red lace gown in front of the audience. Typically, her band mates, The Carolina Chocolate Drops, would surround Giddens. It was on this night, that Giddens showed off her phenomenal voice on her own. She sang Odetta’s “The Waterboy” and two Gaelic songs that brought the audience to their feet with applause. Patti Smith engaged the audience with a cover of “Babe, I’m Gonna Leave You,” that she learned from friend, Joan Baez. Smith then welcomed The Avett Brothers, Punch Brothers, and Lake Street Dive to help her sing “People Have the Power.” Mid song, Baez herself walked out to join Smith in the chorus. Baez went on to take the stage all to herself with her rendition of “The House of the Rising Sun.” Mumford, frontman of the band Mumford and Sons, joined her in singing “Give Me Cornbread When I’m Hungry,” a song made famous by John Fahey. Mumford later took the stage unaccompanied. As the night grew to a close and after nearly four hours of music, the star of the “Inside Llewyn Davis,” Isaac reemerged with Punch Brothers and Mumford. They sang “Fare Thee Will” and “Farewell” from the film’s soundtrack. It was a fitting ending for an unbelievable evening. Another Day, Another Time was a once in a lifetime opportunity I feel very fortunate have attended at what The Huffington Post called “the concert of the year.” I look forward to reliving the experience through the Showtime documentary that will air in December. 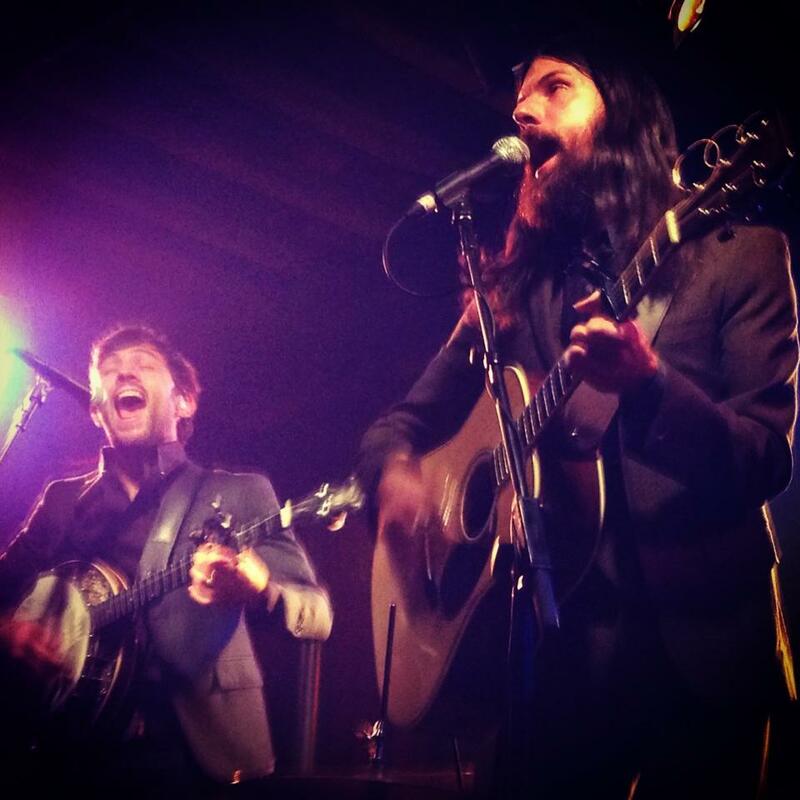 It was a historic night for folk music, and I’m excited for the world to see it.